So, if like me, you were crazy enough to wonder… Can I buy a R700 Logitech laser pointer remote, a cheap green laser from eBay, and get myself a R800 for cheap? The answer is sadly no. The green laser pointers on eBay are great, BUT, the laser module inside is significantly (and fatally) too large to replace the small and rather weak red laser driver inside the R700. Would I recommend the R700? No. The timer function is pretty useless, and the laser pointer is beyond wimpy. I got it on special for the price of the R400, which I wanted because of the comfortable grip and reliable connection. I doubt I will need the extra range of the R700, but you never know. Its such a shame how dim the laser is. I am almost tempted to put in a more powerful red laser, as that looks like it would fit. 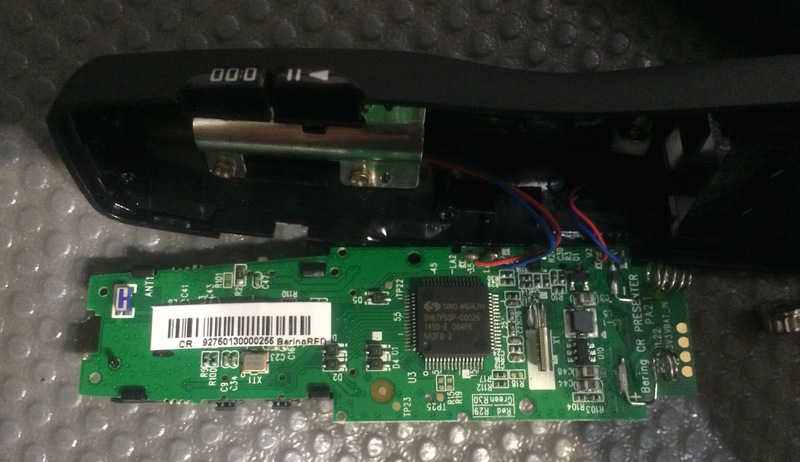 My Logitech r700 remote teardown disassembly photos are below for the curious likeminded folk. I have a R800. The micro switch of the forward button doesn’t work properly anymore. Could you please give me a hint how to open the housing of the device? 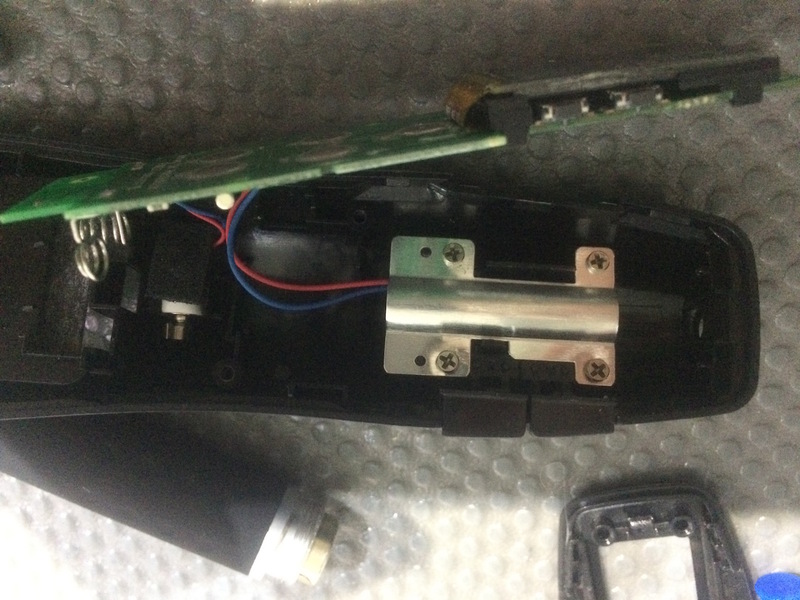 I cannot find any screws and I thick ist just clipped together but I’d like to avoid any damages while opening the device. thanks a lot! I found them!